Some scenes will never be forgotten. First responders covered in ash and debris, exhaustion and sadness plastered on their faces. Frantic victims on the roofs of their homes with floodwaters only inches away. The lone teddy atop a pile of debris – debris that was once someone’s home. Although every disaster is different and not every aspect can be predicted, practicing preparedness at home, school or work can be the saving grace. An obstacle faced by many emergency managers in their own communities is that individuals do not understand the importance of preparedness. In the course EM 545 Emergency Preparedness at Jacksonville State University, students are required to create a preparedness plan for a small business. One student recently said, “I approached one business about the project and the owner said that since nothing has ever happened before and he has insurance, he didn’t see the point of having a preparedness plan.” Essentially, this is the problem many local emergency managers face. To better prepare local residents, many emergency management organizations have created curriculum for children. For example, Washington, D.C.’s organization on volunteerism, Serve DC, has created a website and mobile apps that offer children of all ages the opportunity to test their knowledge of preparing for a disaster, play games to understand appropriate actions for disasters, watch videos about different types of disasters, among others. The site also gives parents and teachers several resources to prepare and includes contact information for schools to have their signature character, Commander Ready, visit their students. For more information on Commander Ready, visit: http://readydc.org/kids.html. The American Red Cross also has worked with children on preparedness activities through their Masters of Disaster program, which educates children through a variety of lesson plans about disaster safety. In addition, the American Red Cross also launched a new campaign, called The Pillowcase Project, targeted for third to fifth graders. Red Cross volunteers teach students about “family preparedness, local hazards and basic coping skills” and at the end of the presentation, children receive an American Red Cross pillowcase to serve as a preparedness kit. Preparing at home for your family is, of course, incredibly important. 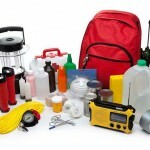 Ensuring that an emergency preparedness kit and a go-kit with personal documents have been prepared, personal preparedness can extend outside the home. This week, the nation remembers 9-11, and in honor of those who were lost, many cities have declared this week, or this month in some cases, as an opportunity to practice preparedness and volunteerism. Unfortunately, many individuals in communities nationwide do not have friends or family members to rely on in case of disaster. This month, while ensuring your own personal preparedness kits are assembled, think about neighbors who may need some additional assistance. For example, if Mr. Jones across the street is disabled, ask him if he has a plan in case of a winter storm, hurricane or flood. In addition, Mr. Jones also may have hanging tree branches that could endanger him or his neighbors if straight-line winds were in the area. Mitigating problems such as these not only serve to protect Mr. Jones and his neighbors, but also is another way of giving back to the neighborhood and community. Or what if the Smiths are suffering from a job loss? Because preparedness kits can be a bit expensive, helping the Smiths ensures they are prepared and they would appreciate the help. Personal preparedness does not have to occur solely in your own home, but spreading the word and helping others may lead to a pay-it-forward blessing. While personal preparedness is certainly important, ensuring continuity of operations for small businesses also is necessary. Small businesses are pertinent to a community’s economy. After a disaster, many residents rely on the services offered by those businesses. Unfortunately, approximately 25 percent of businesses close after a major disaster according to the Institute for Business and Home Safety. Although business continuity is becoming more and more common, many small-business owners do not understand the importance of having a preparedness or continuity plan. Others, while they know it is important, may not know exactly where to begin the planning process. This month, the United States Small Business Administration and Federal Emergency Management Agency, as part of their Ready Campaign in National Preparedness Month, are offering several half-hour webinars to assist business owners with the planning process. Topics include “five ways to prepare for disaster-related business interruptions” as well as “simple low-cost tips on building a solid business continuity plan.” Click here for more information on these free webinars. Although many people might believe that “it won’t happen to me” or “nothing like that would ever happen here,” as author Stephen King once said, “There’s no harm in hoping for the best as long as you prepared for the worst.” Americans have witnessed far too many times, the makings of disaster. Instead of waiting until January, make September the month in which preparedness is the new resolution. Author: Stacey Mann, Ph.D., is an assistant professor in the Department of Emergency Management at Jacksonville State University. She can be contacted at [email protected]. In addition, if you would like to have an emergency management graduate student work with your business on a preparedness plan, please feel free to email Dr. Mann.